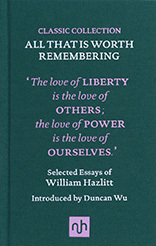 William Hazlitt is one of the great English essayists. He was born in 1778 in Maidstone, Kent. Soon after, the Hazlitt family went briefly to America before settling in Wem, Shropshire, where Hazlitt’s father became a Unitarian preacher. As a young man Hazlitt followed his father into the ministry but lost his faith. After failing in his ambition to become a portrait painter, he took a job as journalist with one of the most important daily newspapers of the day, the Morning Chronicle. He was unafraid of attacking powerful figures including the poet laureate, politicians, even the king. 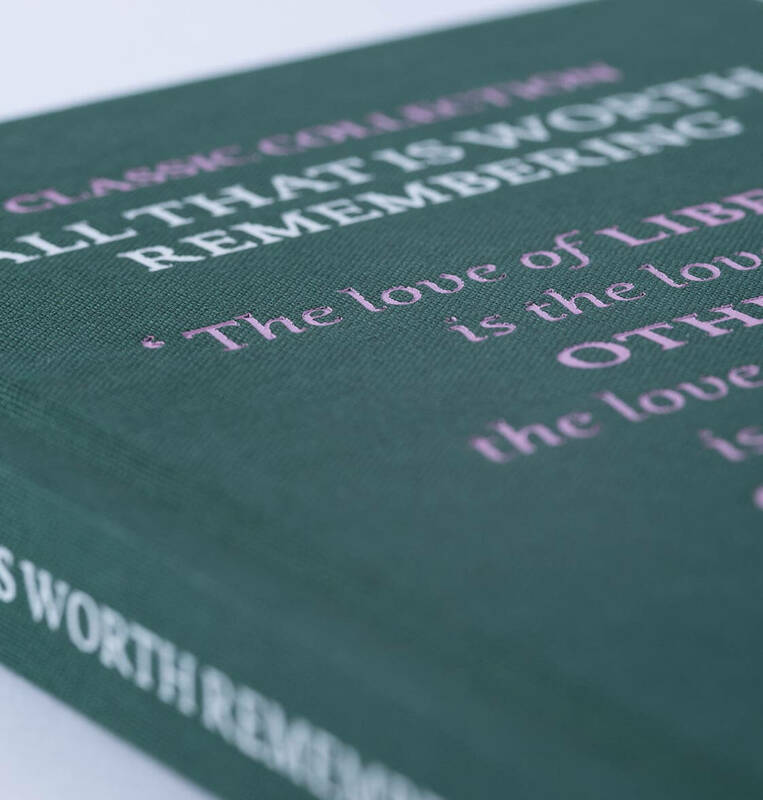 In the course of a career that lasted less than three decades, he wrote some of the finest literary journalism, art criticism, sports commentary, and theatrical reviews of the Romantic period. Had it not been forhim, the conversational essay we know today would not exist. Though he enjoyed considerable fame, he died in poverty and relative obscurity in Frith Street, London, in 1830. 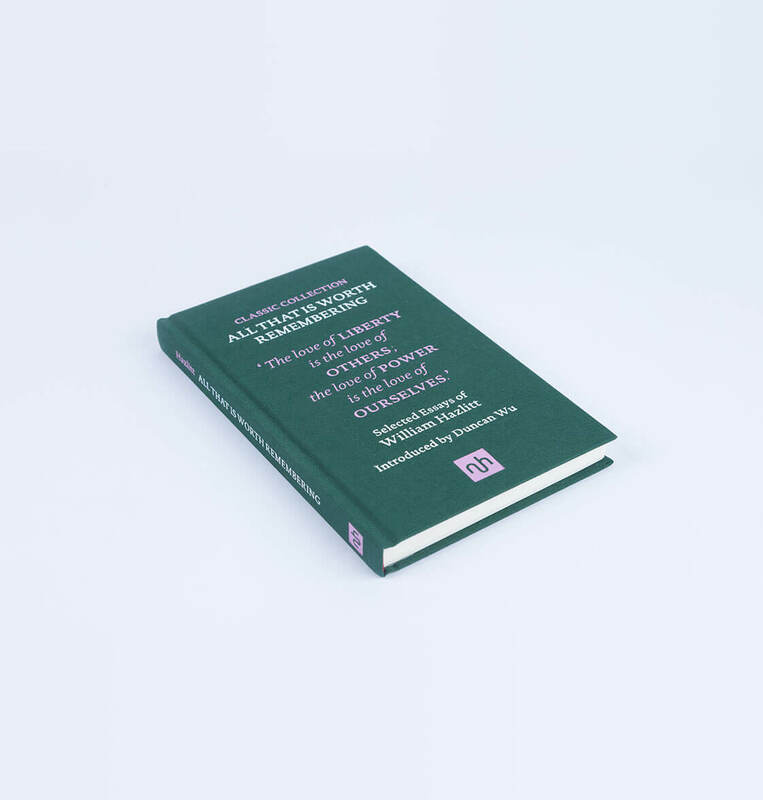 These selected essays give real insight into the man’s character and Duncan Wu’s Introduction and supplementary notes throw light upon his thinking and courage.